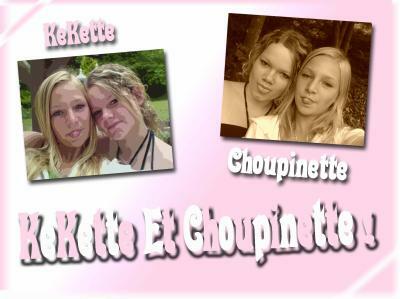 ChOuPiNeTtE & KeKeTtE - Camille B .
! Toi & Moi !
! C'est Pour La Vie Moi Jte Di ! Lol !
! Tu Sais Se Je Pense De Toi !
! KisSs Jtm Tt Fort Ma ChOuPiNeTtE dE mOn CoEur ! Hey Hey ! Mici Davoir Mi Mn MonTage ! :p Tc Ossi Ce Ke Je Pense De Toi ! Jtm Tt For ! Kekette Dmy Heart Trapel ? LOl !